Universal microphone holder suitable for many applications. The microphone can be mounted vertically or at an angle of 90°. 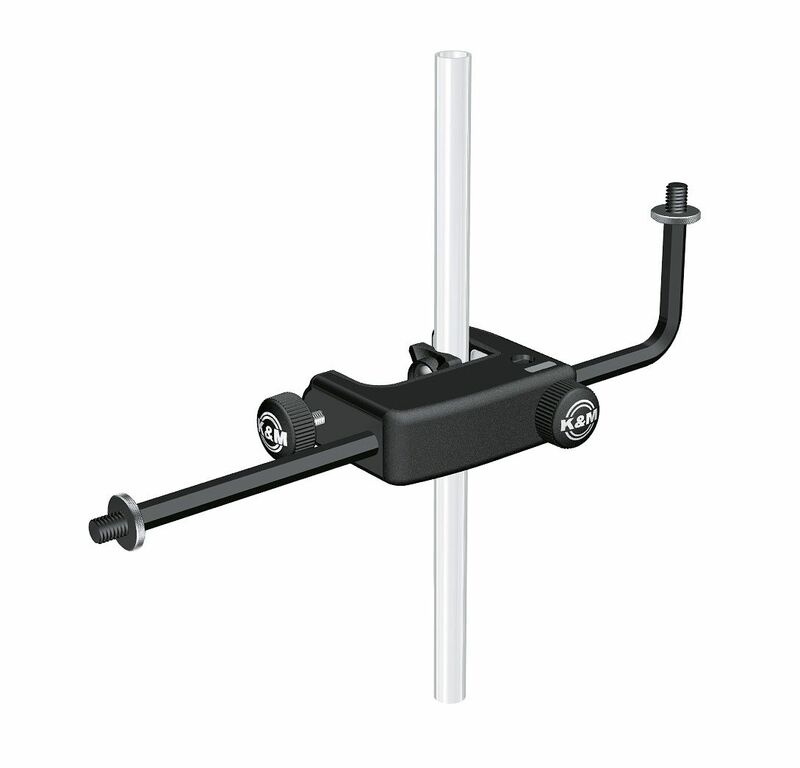 In addition the hexagonal rod can also be attached horizontally or vertically to the table clamp. The clamping width of 0 to 48 mm allows the clamp to be attached to a wide variety of surfaces. Its stable metal construction with high quality plastic inserts guarantees secure and strong hold. The cleverly shaped clamping parts allow the clamp to be used on smooth surfaces and round-shaped tubes.